For me, recovery began initially by agreeing that I was powerless against the addiction to benzodiazepines although it wasn’t until weeks into treatment that I actually admitted it. It was while in treatment I realized how unmanageable my life had become. The first step in a 12 step program describes this powerlessness and unmanageability that one feels when we face circumstances that prevent our feeling comfortable in our own skin. My initial thought when I considered treatment was how my physical body suffered from a medical malady, primarily anxiety, and all the physical drawbacks associated with it like digestive issues, high blood pressure, racing thoughts – I call it psychobabble. But while in treatment, having been deprived of the medications I had been prescribed for many years for this malady, I experienced the very worst that my mind and body could have imagined. It was explained to me in the emergency room how after years of taking benzodiazepines, I had built up a tolerance to them and became dependent on them – I was addicted to them. The second step in a 12 step program taught me to realize the helplessness of my addiction and the insanity of repeating over and over again similar types of behavior, each time expecting different results. My sponsor asked me to write about why after experiencing a negative result for a behavior, did I repeat the behavior over and over again. He referred to this trend as the “insanity” of my addiction. It seemed very possible that I alone did not have the ability or capacity to successfully address my addiction or subsequent behaviors. I needed a power greater than myself. I needed God. Step three in a 12 step program suggested that we turn our will and our life over to God as we understood him. I did not understand God. I was not even sure if or how much I believed he even existed. I really wanted deep in my heart to believe that there is a creator and that he has the power to influence all things. I wanted to believe that when I die, that is not the end of it – that there is an eternity that I can be a part of. This concept was hard for me because my life was absent such thinking and my experience in some circumstances was quite traumatic. To suddenly adopt the notion that a loving God existed and loved me in spite of all that was done to me and what I had done to my fellows was a big pill to swallow (no pun intended). I proposed that for now, I would just entertain the idea that there was a God and asked Him into my life to show me how to do what I could not do for myself. I proposed I pray to God and ask him to make evident his will and to give me the power to carry it out. Step four in a 12 step program asked me to take a moral inventory of myself. It was suggested that I create several lists including in them my fears, resentments and sexual immorality. This being my first go-around, I am sure I listed the most obvious of these types of inventory items. Listing these items helped me to realize how my fears, resentments and how I acted and thought about sexual matters influenced my thinking and how I behaved. These things molded my perceptions and created my view of the world, however real or unreal that may be. Step five in a 12 step program was a hard one. This is where I needed to learn about how to trust another human being, be humble and sincere and openly admit the nature of my shortcomings listed in the previous step. Telling my sponsor some of my dirty deeds was not easy but what was interesting was learning that I am not the primary owner of certain behaviors. It turns out that other people have thought and behaved very similar to me, that I was not so unique as I had thought. Step six in a 12 step program was where I realized that forgiveness involved action on my part for my wrong behaviors and for those behaviors of others who have wronged me. Having realized that it would take forgiveness to remove my defects of character, I found myself asking the God of my understanding discovered in step two, to forgive me of my wrong behaviors and to help me forgive those who had wronged me. This was a profound step for me. It meant that I needed to come to terms with behaviors that created wreckage in my life, realize how my thinking and acting out had caused harm to myself and my fellows and I needed to ask God not only to forgive me and help me forgive others, but to show me how to retrain my thoughts and behaviors in such a way that this process would lead to a healthier life, a stronger relationship with Him and more fulfilling relationships with others. Step seven in a 12 step program required me to humble myself before God, asking Him to remove those character flaws I discovered in the previous steps. By performing this step, I had to deeply ponder what it meant to ask God to remove from me bad habits I had formed over many years and to be open to learning new ways of thinking and behaving. Step eight in a 12 step program suggested I use the list I created in step four or create another, listing all persons I had harmed and while doing so, becoming willing to be willing to make right the wrongs of my past. The eight step prepares us to consider the many wrongs we have perpetrated against our fellows, family and children and provides a pathway to make those wrongs right. I made a list and it was deep and wide. My wrongs were many and the concept of making amends for them all seemed like quite a feat. I became full of fear at the prospect that I had to face people with whom I did wrongs and that making amends could be costly financially and emotionally. The saving grace to this step is that it is not the actual amends step, it is only suggested we make the list and become willing to make the amends. Step nine in a 12 step program suggested we make the amends to those people we had harmed. We inventoried those harms in step four. So this is it. I set out to make amends to those I had harmed. I chose through my sponsor to perform this step addressing the most egregious of the harms I had listed in my fourth step. It would be my ex-wife, current wife and son. Other amends could be made later. I was not received well and suspicion and caution was abound but the big book talks about proceeding regardless of whether the amend is well received or not. It took years of reckless selfishness to develop the harm and it only seemed right that those I made amends to would approach me with cautious optimism. Step ten in a 12 step program suggested we don’t stop with the fourth step inventory but take inventory each and every day and when we realize our wrongs, we promptly admit them and take action as necessary to prevent future episodes. This is the principle by which I must live the remainder of my life. I must vigilantly look out for those character defects that crop up in my imperfect human life and when they become evident, I go to my creator and ask for His help in changing my behavior. I admit my shortcomings and correct my wrongs as quickly as I can, learning from my imperfections. Step eleven in a 12 step program suggested we improve our connection to our higher power (God) by meditation and prayer. The Big Book tells us on page 86 how to begin our day and how to end our day. I rely on our spiritual connection to our higher power for direction and guidance. I realize that God really is doing for us what we are unable to do on our own. I am learning to rely on God to renew my mind and as a result, change my character. 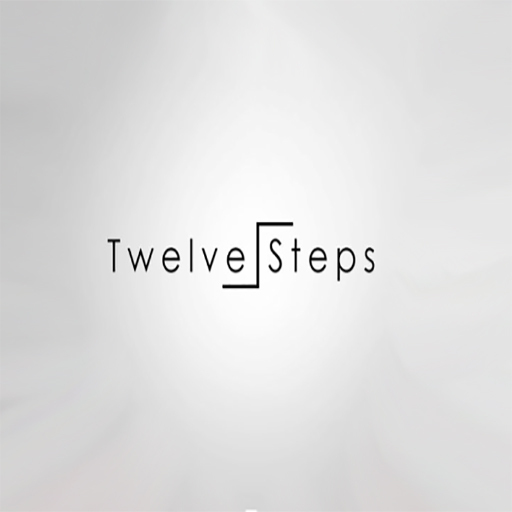 Step twelve in a 12 step program suggested we carry the message of our experience, strength and hope to others and to practice in all our affairs, the principles learned as a result of walking through the 12 steps with our sponsor. Today I sponsor other alcoholics and addicts and walk them through the steps. I try to help others who are going through or have gone through what I experienced and show them how I was able to learn from my experience and change my life. Please contact me at help@recovery-advocate.net if you have any problems with this web site. I appreciate your feedback!